hidden from the immune system. As with any infectious agent, HIV presents its proteins to the immune system, which develops antibodies against it. This antibody production, however, is hampered by the fact that HIV mutates rapidly, changing the proteins it displays to the immune system. With each new protein, the immune system must generate new antibodies to fight the infection. Thus, an HIV infection is a dramatic balance between a replicating, ever changing virus and the replenishing stores of T cells that are fighting it. 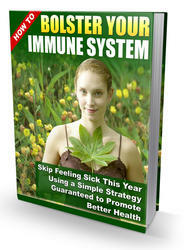 Unfortunately, the immune system, without therapeutic intervention, eventually loses the battle.